At Mindgift, we don’t believe in miracle pills or quick-fixes for weight loss. My own experience taught me that the key to a successful weight loss strategy is not to be found in short-cuts, but in a combination of regular exercise, a healthy diet and a positive mental approach. Weight problems can be the result of numerous factors, both physical and psychological in nature. With an emphasis on the intrinsic link between body and mind, we approach the underlying causes of weight problems on all sides. This enables us to develop individually tailored programmes which combine exercise, nutrition and NLP techniques, to achieve realistic, sustainable results. In developing your weight loss workout program, we find a routine that addresses your unique needs, that challenges you appropriately and – most importantly – that you truly enjoy. The benefits are not just physical; exercise does more than just burn calories: it changes your chemistry, releases powerful neurotransmitters, strengthens and revitalizes muscles, increases energy and contributes to happiness, and overall well-being. 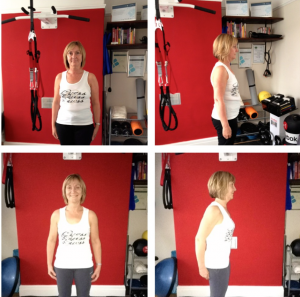 A good example is Diane, 50, who came to me with the goal of losing weight and gaining muscle tone. After 3 weeks of training, she had lost 5.5lbs. We know that no two people are alike, and no single technique is a panacea, so we create a unique program based on the techniques, principles, and approaches YOU need to achieve YOUR individual weight loss objectives. If you would like help to lose weight and discover the tools that will enable you to maintain a healthy body and mind in the long term. Contact Paul for a free consultation.